DUBLIN AND CAMBRIDGE - June 22, 2018 - Medtronic plc (NYSE:MDT), the global leader in medical technology, services and solutions, and its strategic technology partner, IBM (NYSE:IBM) Watson Health, today announced commercial availability of the Sugar.IQ(TM) smart diabetes assistant, a first-of-its-kind intelligent app designed to simplify and improve daily diabetes management. Approximately 30.3 million Americans have been diagnosed with diabetes, with 1.5 million new cases being diagnosed every year.1 More than 6 million of those impacted use insulin to manage their diabetes.2 People with diabetes face many daily challenges - managing their condition, understanding medical advice, knowing what to eat and when, the impact of food and activity on sugar levels, and trying to avoid critical glycemic events. 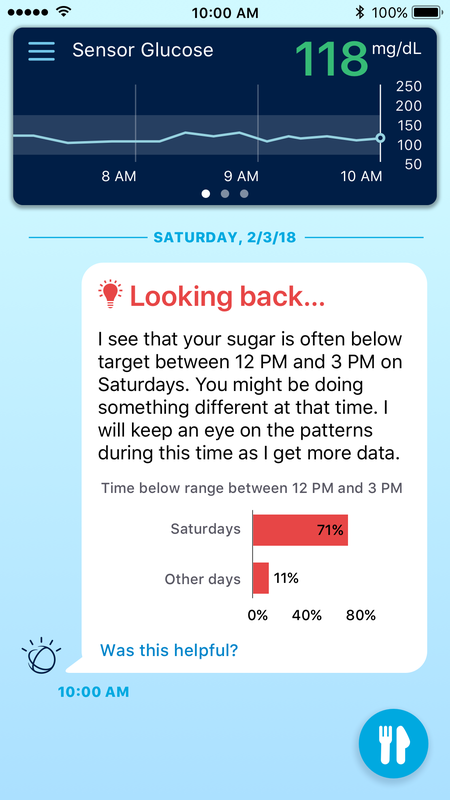 The groundbreaking Sugar.IQ smart diabetes assistant leverages artificial intelligence (AI) and analytic technologies from IBM Watson Health to continually analyze how an individual's glucose level responds to their food intake, insulin dosages, daily routines, and other factors, such as information provided by the app user. For example, are certain foods worsening the patient's glucose control? Are there particular days or times where a person's glucose goes high or low? With Sugar.IQ, people with diabetes can uncover patterns that affect their glucose levels which can help them make small adjustments throughout the day to help stay on track. Medtronic and IBM Watson Health leveraged their combined expertise in diabetes, AI and analytics to develop the Sugar.IQ diabetes assistant. The Sugar.IQ assistant reveals patterns that may be hard to see so that someone with diabetes gains meaningful, personalized insights. These insights show how lifestyle choices, medications, and multiple daily injections impact diabetes management and the time spent with glucose in the target range. The app uses AI and advanced analytics to give users a full picture of their current levels and provides insights and individualized guidance in understanding and managing daily diabetes management decisions, so that people on multiple daily insulin injections have more freedom to enjoy life. In data presented at the 78th Annual American Diabetes Association (ADA) Scientific Sessions on June 22, 2018, people who used the Sugar.IQ app spent 36 minutes more per day in healthy glucose range than they did before using the app. This included 30 minutes less time in hyperglycemia (>180 mg/dL) and 6 minutes less time in hypoglycemia (<70 mg/dL).3 This represents more than 9 additional days in a year that a person with diabetes is spending in a healthy glucose range. According to Michelle Shaw, a Medtronic employee and registered nurse (RN) who has been using the Sugar.IQ app for 4 weeks through an employee preview program, "Sugar.IQ has given me insights that I could never have uncovered on my own - even with 30 years of diabetes experience. It's been eye opening and fun to gain new insights into my diabetes without additional burden." 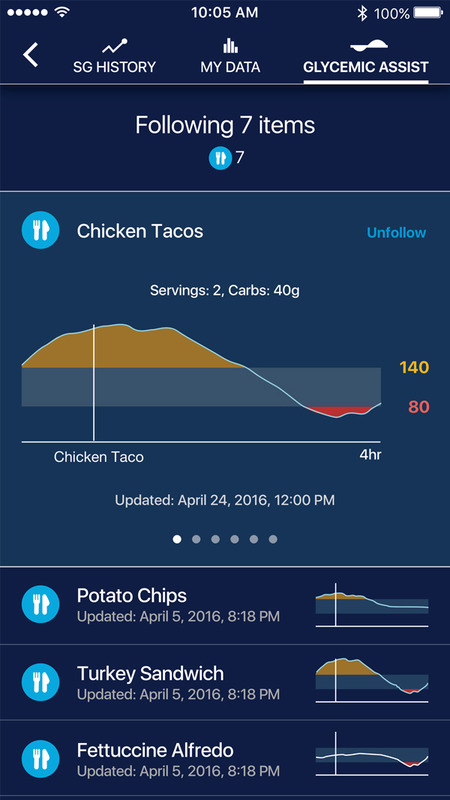 The Sugar.IQ app is available for iOS-based mobile devices in the U.S.
Devices alone cannot transform diabetes care. The combination of patient engagement, technologies, big data and analytics, informatics and world-class patient management are all required to drive effective results in diabetes care. By leveraging Medtronic devices and care management offerings-including therapies and coaching-and with IBM Watson Health's powerful analytic and AI capabilities, Medtronic can leverage data-driven insights to help people with diabetes and their caregivers. The Sugar.IQ assistant from Medtronic and IBM Watson Health reveals patterns that may be hard to see so that someone with diabetes gains meaningful, personalized insights. These insights show how lifestyle choices, medications, and multiple daily injections impact diabetes management and the time spent with glucose in the target range. Watson Health is a business unit of IBM that is dedicated to the development and implementation of AI and data-driven technologies to advance health. Watson Health technologies are tackling a wide range of the world's biggest healthcare challenges including cancer, diabetes, drug discovery and more. Learn more at ibm.com/watson/health. 5 Decision-making around insulin dosages should always follow the guidance of a patient's healthcare professional.